This adapter allows you to plug in an analogue 15-pin PC joystick into your Amiga joystick port. 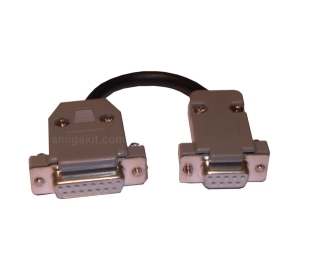 Adapter features 15-pin female plug (PC joystick) to 9-pin female plug (Amiga joystick port). **NOTE** These adapters will only work with Analogue controls and joysticks.